In the Summer there is nothing better to me than a glass of fresh lemonade, SUCH a treat! This recipe is easy and quick, and tastes so delicious! 10X better than the fresh lemonade you buy for $8 a cup at festivals. 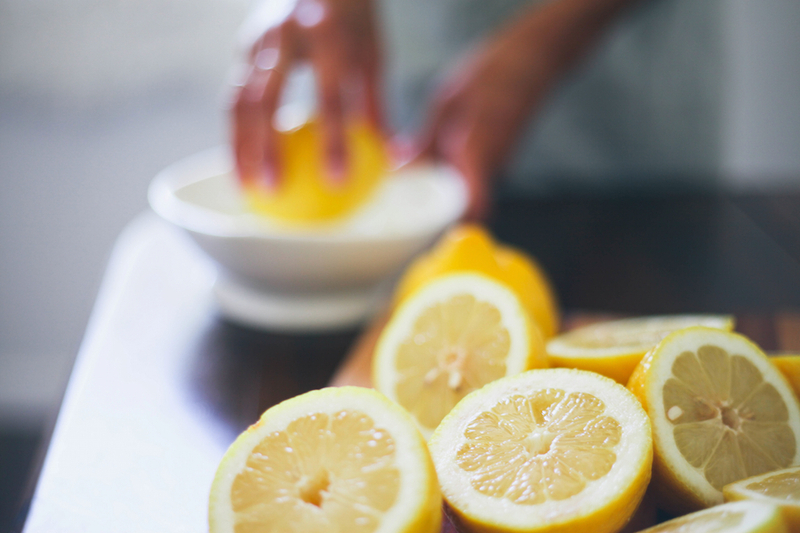 Start by slicing and juicing the lemons, then add the simple syrup and water to taste. Serve over ice on a hot sunny day!